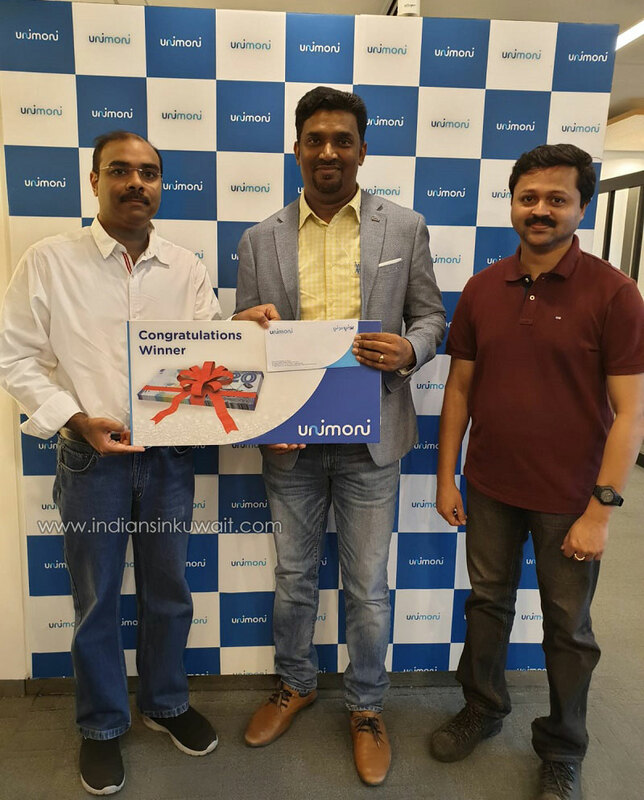 Winners of Republic Day Greetings Contest conducted by IIK in association with UNIMONI Exchange Company received prizes in an elegant function held at UNIMONI Exchange Company, Head Office. Jeslin Ann Abraham was selected as the 1st Prize Winner and received cash prize of KD.100, whereas Benoy John Varghese and Saith Muhammed Sidhique Chelikandam were selected as 2nd and 3rd prize winners who received KD.75 and KD.50 respectively. 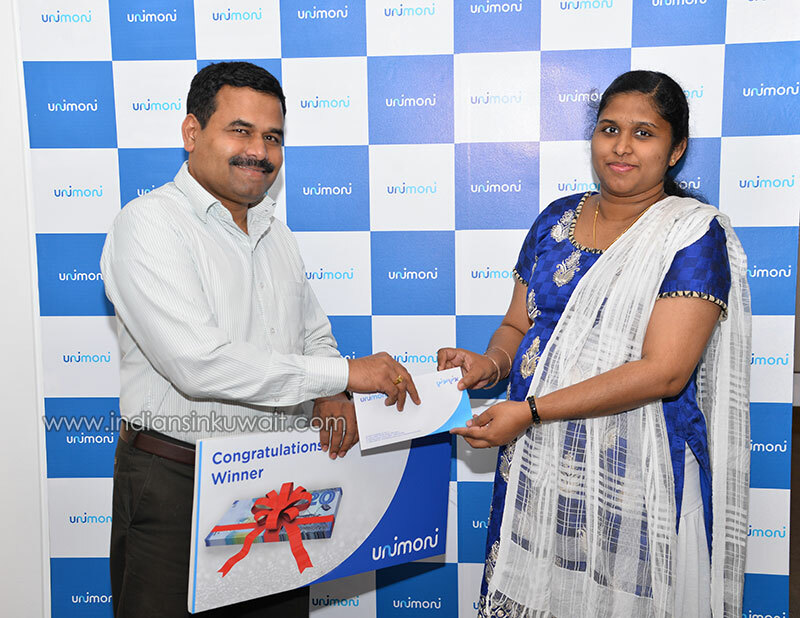 Prizes were given by UNIMONI Representative in presence of IIK Team. 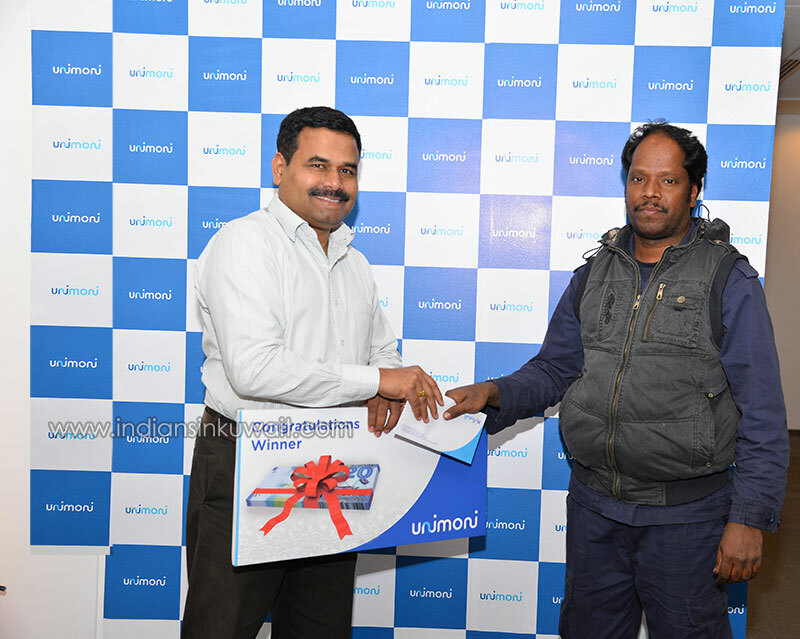 Winners appreciated the services rendered by IIK and thanked UNIMONI for their tremendous support. congrats , plz post the prize winning pos too..